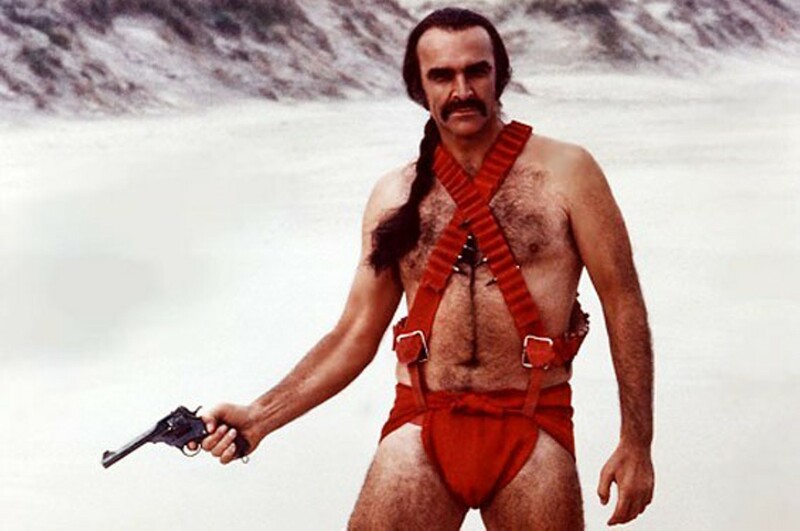 John Boorman's sci-fi brainmelter Zardoz is more commonly known as "that film where Sean Connery runs around in a red diaper and pirate boots." And it's true -- he does, and that's a big part of its appeal. Connery plays Zed, a primitive man from the Brutal caste who's only skill is killing. When he infiltrates the secluded world of the Eternals, the ruling elite, Zed finds himself studied, feared and used as a weapon by various factions. It's crazier than you think -- a flying stone head issues weapons as needed, and the Eternals use naked mud wrestling to fight erectile dysfunction -- but it's also thoughtful and inventive despite the cheesy bits. The Reel Late film series presents Zardoz at midnight Friday and Saturday (August 7 and 8) at the Landmark Tivoli Theatre (6350 Delmar Boulevard, University City; 314-727-7271 or www.landmarktheatres.com). Tickets are $8.